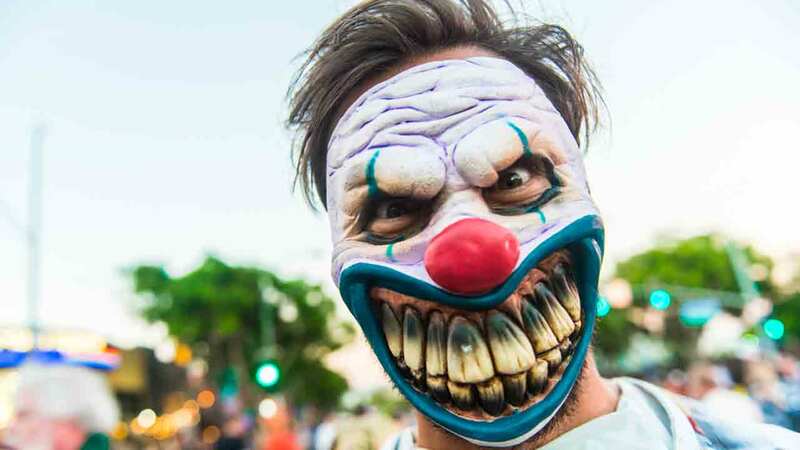 SANTA CLARITA, Calif. -- A person dressed as a clown in Santa Clarita was apparently scared off after he approached a man who allegedly fired a gun into the air, according to the Los Angeles County Sheriff's Department. Officials said a man called 911 to report that someone dressed in a clown costume holding a knife approached his home in the 25000 block of Via Desca at about 6:40 a.m. on Sunday. But the sheriff's department said the suspect who was arrested was highly unlikely to be related to the clown who attempted to approach the home with a knife.